The New and Improved Plano All Weather 2 Case was designed for firearms, but leave it to ice anglers to find they work amazingly well as Ice Rod Cases. With it’s super tough construction the 36″ Case will easily hold 4-6 Combos keeping them safe and secure while travelling on the ice. Hurry and grab this deal while its 53% Off! Free Shipping & MORE for Prime Members, 30-Day Free Trial HERE! Here’s a picture of the Plano AW Case in action! Own and use a Plano All Weather 2 Case? Take advantage of this Ice Fishing Deal? Give us your two-cents in the comments below. 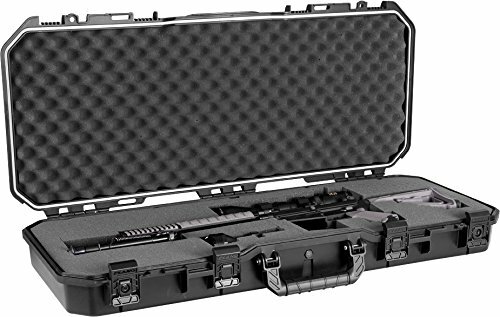 Posted on April 10, 2019 April 10, 2019 by IFDPosted in All Deals, Rod & Tackle StorageTagged academy, academy sports, All Weather, aw2, Plano, plano all weather 2, plano all weather 2 case, plano all weather ice rod, plano all weather ice rod case, plano all weather tactical, plano aw2, plano aw2 case, plano ice rod case, plano rod case, plano rod locker, Rod Case, rod locker, Rod Storage, tactical.